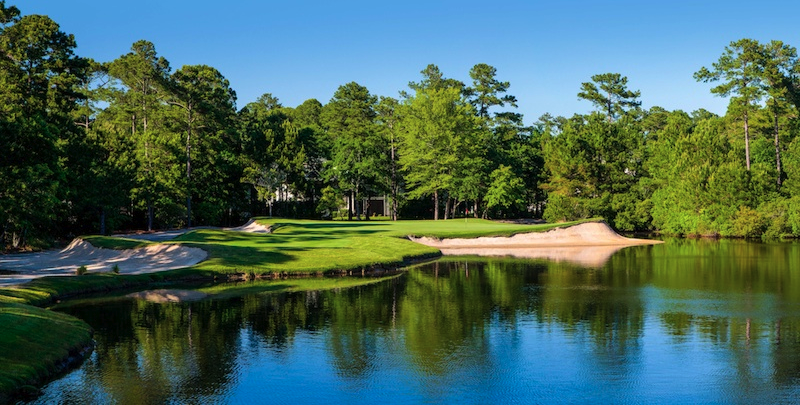 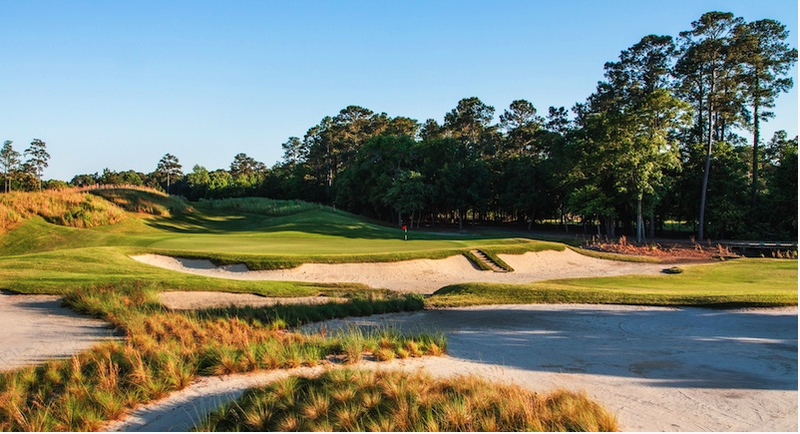 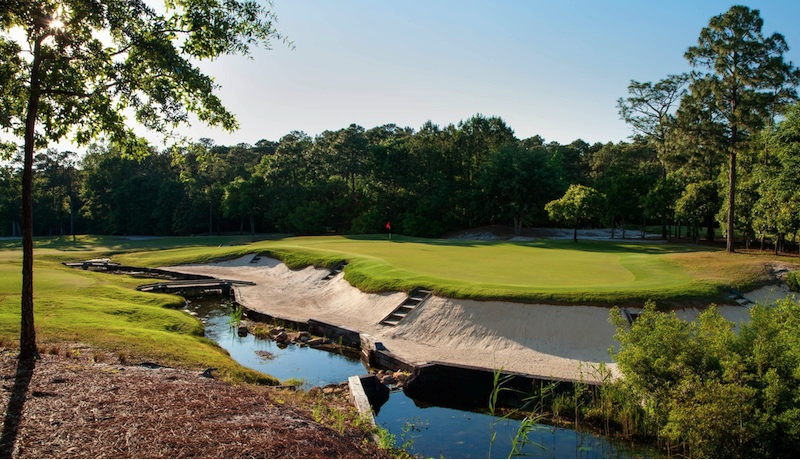 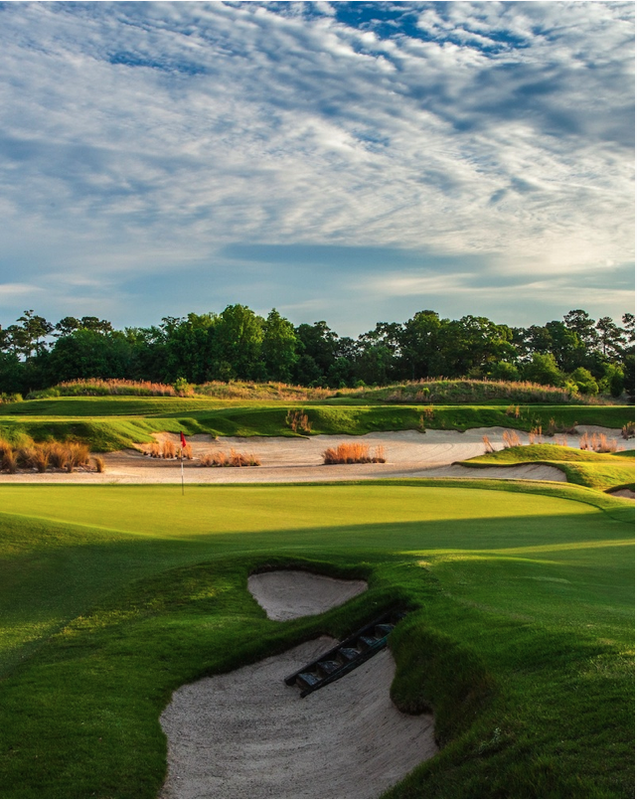 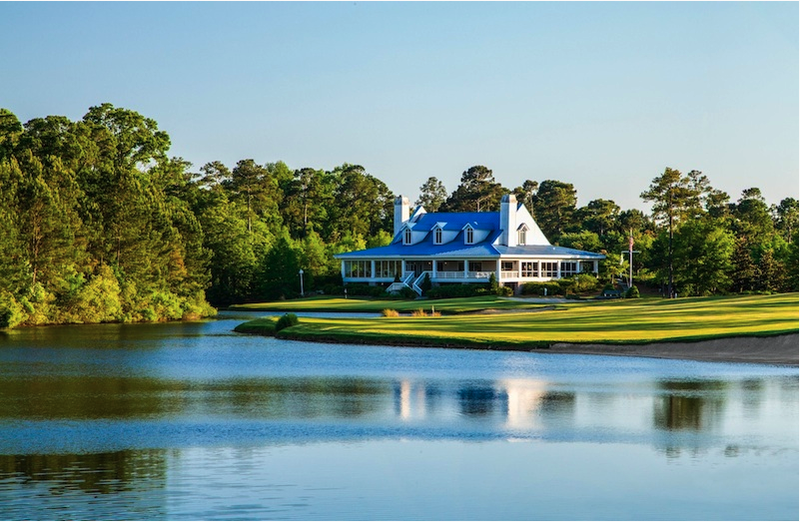 True Blue Golf Course, a heavily-wooded golf course which opened in February of 1998, is billed to have “the Greatest Holes along the Grand Strand.” Dramatic shaping, elevated green platforms and hand-shaped bunkers make this a truly challenging golf course for all levels. 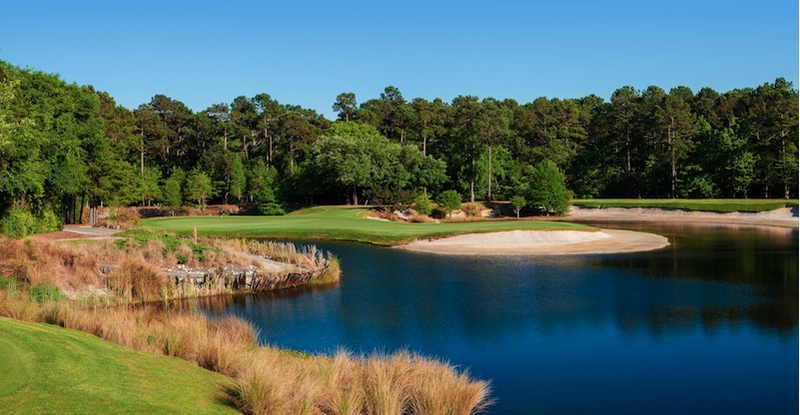 The elevations make this a very unique golf course, as exemplified by hole #14, a 161-yard, par 3, which features a tee box nearly fifty feet above a green that is strategically placed between a huge waste area and a potentially-dangerous pot bunker. 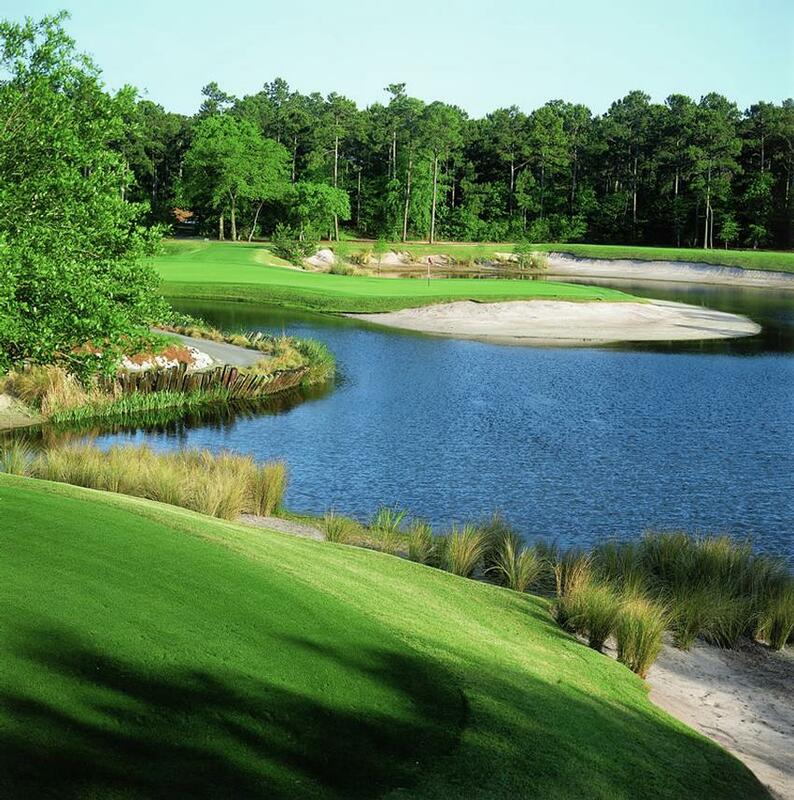 The golf course features six water holes and tree-lined fairways that have plenty of sand to avoid. 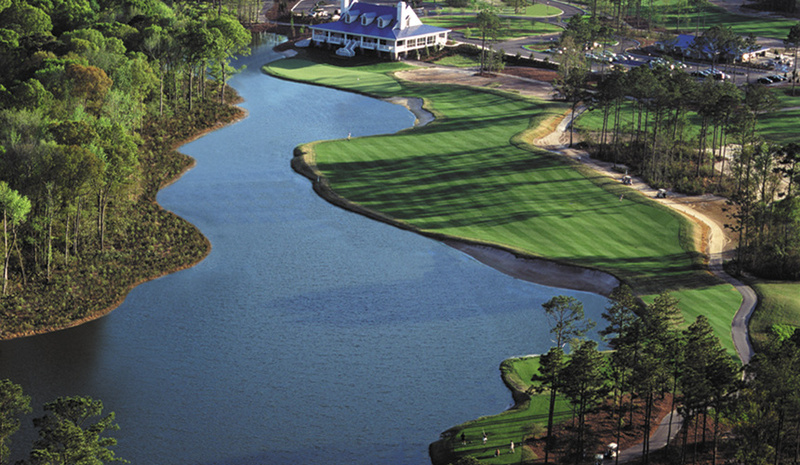 The golf course itself has quite a bit of elevation changes, and cart paths that are kept out of sight and play. 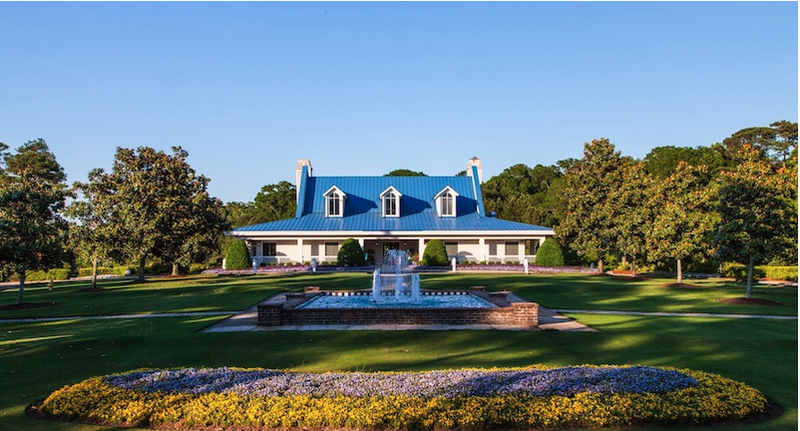 900 Blue Stem Drive, Pawleys Island, SC 29585 – Map it!